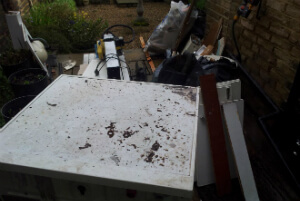 Waltham Forest E Commercial & Domestic Junk Removal | Quality Property Care Ltd. Call our client care service now, or send an online request and you will receive an estimated price quote based on your explanation of the junk and the service needed. Those moments, when you keep storing and stop throwing old things, come to any of us. Whether we don`t have enough time or the materials to remove the junk, it becomes more and more. And one day we wake up in a house full of rubbish. Or we end up to come in repulsive and unpleasant working environment. No need to move or dismantle anything! The expert technicians from Quality Property Care Ltd. will dismantle all the big junk and furniture and pack the pieces, by themselves. If you have more issues or details you would like to get, get in touch with us and we will set up the professional junk removal service in a most convenient for you time and way. So, maybe it is time to clean out your office, garage, home, or loft and make some space for really useful stuff. Book your rubbish clearance and rubbish removal service now! Once you set up the rubbish removal service, we will sent to you the tested and vetted experts. They will examine the quantity of junk and will settle a particular date. Make a mix with junk removal service and any of our professional cleaning services to get a special discount! Our rubbish removal firm delivers a full range of competitive and eco-friendly cleaning services that can fit any funds! No matter what you want cleared out and removed, you can depend on the experienced, trained and vetted staff of Quality Property Care Ltd. to collect the trash, and take care of the disposal of different types of rubbish safely and in accordance to all regulations at a great rate. After you receive the primary price estimate and book a visit, the rubbish removal operators will come to the spot, and calculate the actual price in accordance to the specific quantity, volume and type of the items or other waste you need to take out and dispose of. The waste will be loaded, transported and disposed of in accordance to all rules for eco-friendly waste disposal. 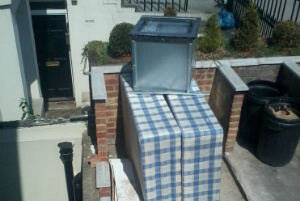 Call us 020 3746 4287 anytime you would like proper junk and rubbish removal from your property. We work efficiently and fast, dealing with loads of all sizes from large to small ones. Call us at any time of the day or night, you will get proper information on our pricing, details around the removal and so on. Our crew is out there free of fee, with booking form opportunity. Call and save not only time, but also cash and efforts.